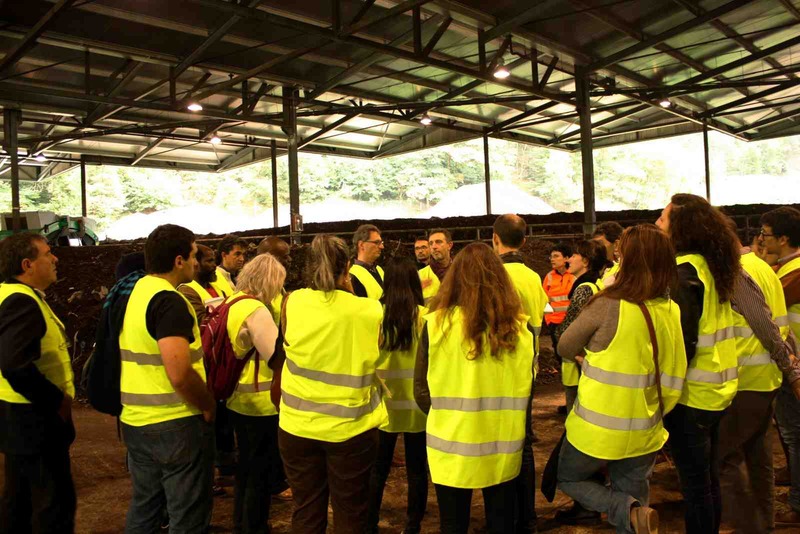 The International Training Course on Organics Management took place last 13-14 October in Donosti (Basque Country, Spain) and it was an excellent opportunity to address the management of the organic fractions of waste, including collection and treatment. The course intended to empower policy makers, waste managers and activists by providing them with relevant tools and knowledge on biowaste management. 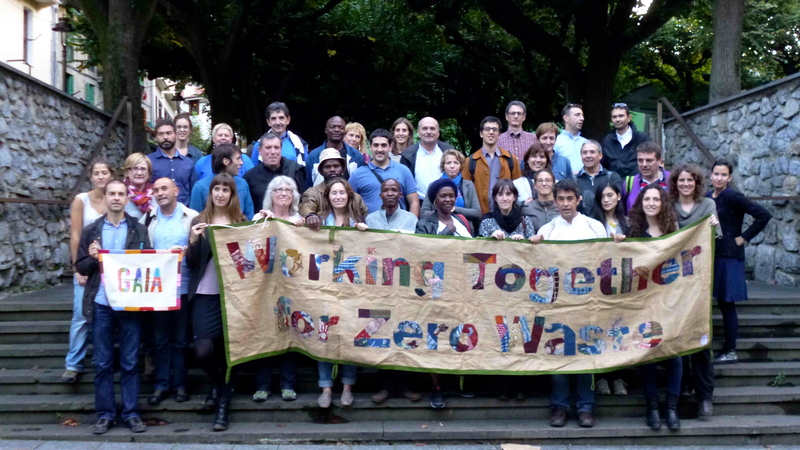 The course counted with participation of waste or other environmental NGO activists, representatives of local authorities and policy makers from the Basque country, the rest of Spain, France, Italy, South Africa and China. Three trainers Dr Marco Ricci, Dr Enzo Favoino and Dr Alberto Confalonieri, from the Scuola Agraria del Parco di Monza provided relevant knowledge and illustrative examples of separate collection and treatment of biowaste in Italy and Europe. Besides, the course included a site-visit to Hernani, and one to a centralised compost site. Enzo Favoino showed that a specific collection and treatment of biowaste is a must to move towards zero waste: “With packaging recycling we only go halfway”, he argued. Biowaste still makes a significant part of the total municipal solid waste and, so ambitious zero waste plans cannot be reached by collecting and treating only dry waste. Organic waste is one of the most challenging waste streams due to its polluting capacity when mixed with other waste streams. Yet it offers a great potential to become a solution to climate change and soil degradation if separated, collected and treated properly. The main advantages of treating biowaste that are mostly linked to climate change: GHG emission reduction as a result of less landfilling or incinerating biowaste, the possibility of sequestrating carbon in the soil and of preventing the degradation of the soil. At the same time, treating biowaste specifically was shown to be the best way to meet EU objectives of landfill diversion, while proves that incineration is not needed. One of the current best practices in Europe is found in the Contarina district in Northern Italy, the European champion of separate collection and residual waste reduction. On the contrary, the case of Majorca, claiming to have the biggest incineration facility of Southern Europe, showed the implications of having an incinerator that needs to be fed. Other bad examples arose from the public, such as that of Tenerife or South Africa, where incineration plants are planned. Separate collection schemes: the simpler, the better. Dr Marco Ricci-Jürgensen’s session dealt with the elements to be considered when designing separate collection schemes: the main elements to be taken into account and the pros and the cons of each of them, including different collection systems and policy instruments to implement biowaste collection. Among these instruments, the door-to-door collection system was argued to be the most efficient because it raises the share of separate collection and reduces significantly the presence of contaminant elements in the different fractions. Other policy instruments underlined were the pay-as-you-throw schemes (PAYT), permitting to establish a direct link between waste production and the cost of the service. The session concluded that on the light of the different implementation options, seems clear that the simpler, the better it tends to work. Milan was presented as one successful example of implementation of biowaste collection. The city with 1,5 million inhabitants and densely inhabited, has recently introduced door-to-door collection of biowaste and has reached its objectives after 6 weeks. Another different and interesting example was Castelbuono, an old town with medieval structure in Sicily, where the logistics of collecting biowaste were complicated and they started collecting biowaste with donkeys. After all, it was proven that no matter what challenges are faced by any given municipality, there is always a feasible way to collect biowaste. Garden waste: a chance for community compost. Garden waste is also an important waste stream within the general biowaste. 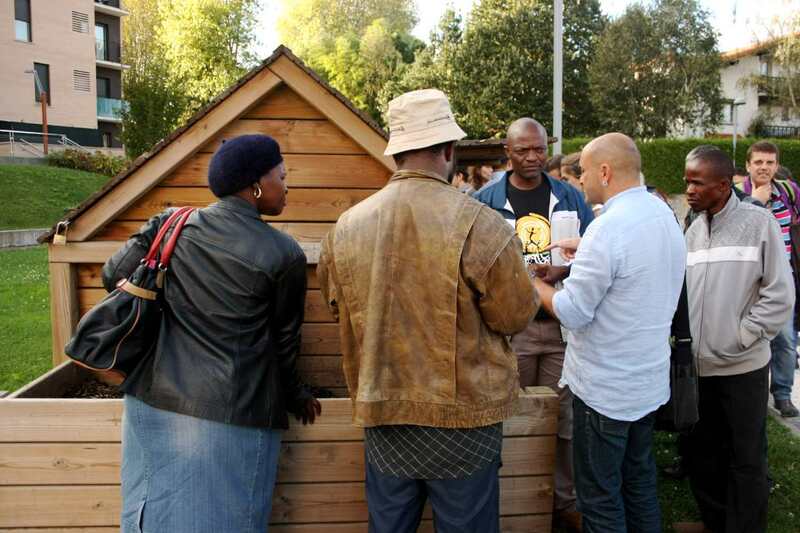 The session led by Dr Favoino focused on home and community composting and the reality of these systems across Europe. Hernani zero waste strategy has a strong emphasis in promoting community composting. Household participating in the scheme receive up to 40% reduction in their tax bill. Photo: María Durán. Community composting is usually a parallel element to public management, but it may be also a very good substitute to collection in isolated or remote areas, as it has no cost of collection and treatment. However, the fact of changing the ownership of the discards may challenge the existing legislation. For instance, in Bulgaria they have adapted their legislation and included community composting as “decentralized composting” with no need of administrative approval, as long as it does not exceed 10m3 annual compost. The group also had a chance to visit the Zero Waste Best Practices of Hernani, one of the forefront towns in the Zero Waste movement in Gipuzkoa. Hernani decided in 2010 to implement a door-to-door collection system with specific collection of biowaste, but it was not until 2013 when the community composting in urban areas was launched. According to the civil servant in charge of waste, the system is working and they have succeeded in reducing residual waste by 60%. They are still committed to keep on improving and they are looking for the ways of overcoming the 90% separate collection. The system in Hernani has proved to be successful and has today 14 employees, when it had 3 in 2010. This is also a part of the success story in a country with high unemployment rates. See the full case study here. The site visit to Hernani was a useful opportunity to see the successful implementation of a door-to-door collection system with special emphasis on domestic and community composting facilities. Photo: Diana Osuna. The following sessions got down to the nitty-gritty elements of composting, covering the biological process of transforming biowaste into compost and the main technologies for composting, as well as the options for treating odours. Again, it was stressed that the best technique is the one defined for a precise situation and specific needs. 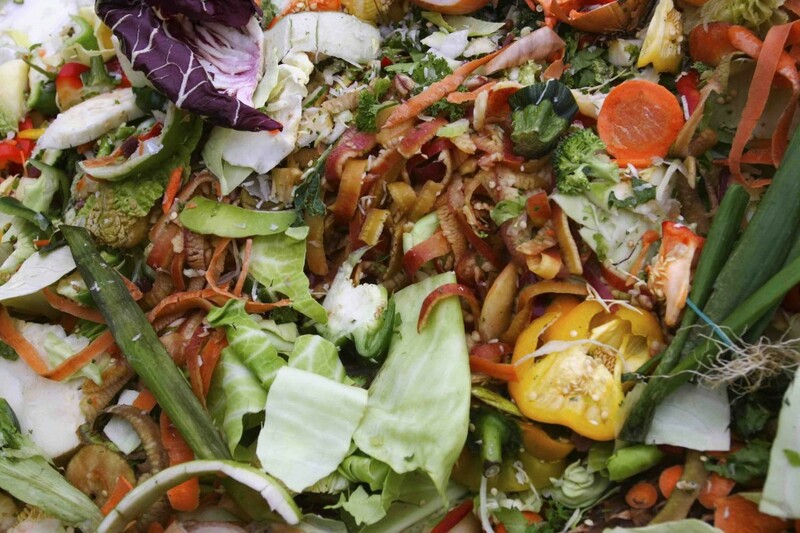 “Composting is in fact a very versatile process so, it permits small-scale low-tech facilities to large industrialized and centralized facilities, said Dr Alberto Contalonieri. For example, weather conditions or the fact of being a rural or an urban area may affect the decision of having an open or a closed systems or a dynamic or a static one. Dr Enzo Favoino talked about the use of compost as a natural fertilizer, explaining the positive effects of compost both for the soil and for the vegetables produced. The presence of organic matter reduces the soil loss by one third, while increases substantially the presence of earthworms. These work as a natural indicator of the health of the soils. At the same time, the use of compost as natural fertilizer reduces the percentage of vegetables with diseases at their roots. With half of Europe suffering from a situation of pre-desertification in terms of the presence of organic matter in the soil, the use of compost is a very good way to close the loop and tackle this situation. Dr Favoino underlined other benefits of compost, such as its slow-release of Nitrogen, which permits to avoid Nitrogen losses during heavy rainfalls and that an eventually excess derives into nitrates. The afternoon we visited the Lapatx centralised composting facility, in the Aizpeitia municipality. The director of the plant along with the director of the provincial waste consortium in charge of it presented the different problems they had with the plant. It was an excellent way of applying the concepts learned in the morning to the decision-making process and to see why the facility was not properly designed. In this sense, while they were supposed to cover the demand of the whole province, the former government expected to collect a small amount of organic waste because they intended to build an incineration facility. However, the change of government stopped the incinerator and required of adapting the Lapatx composting centre to allocate larger amounts of biowaste. Site-visit to Lapatx composting facility Aizpeitia municipality. Photo: María Durán. Today Lapatx works in full performance but suffers from the problems of an initial bad design: it is very small and has an inappropriate shape; the upload of biowaste takes place in a slope; the machine opening the bags was originally designed to open packaging, etc. However, in the near future, two new facilities will be opened in Gipuzkoa with the duty of complementing Lapatx. An experience to be repeated! 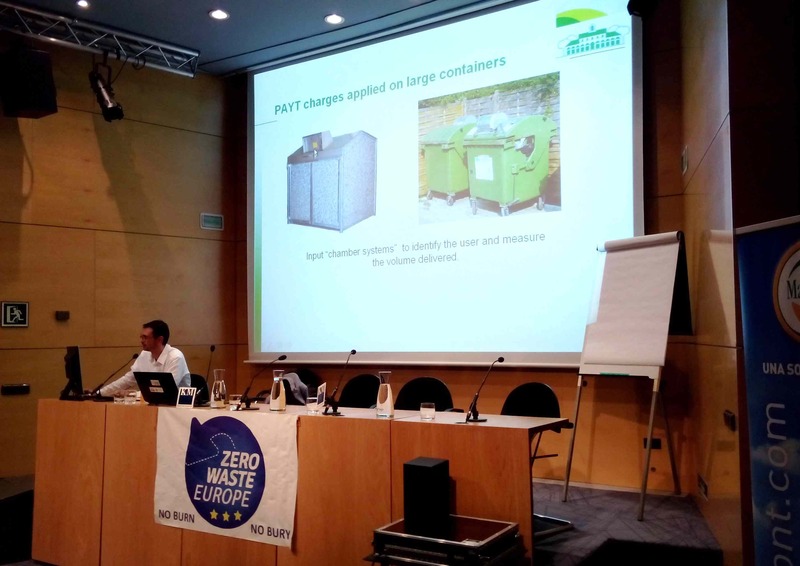 This training course was the first of its kind within the Zero Waste Europe and it proved to be a perfect opportunity to learn the rationale behind separation of organic waste at source, and the logistics and economics of separate collection of biowaste systems. The site-visits allowed the direct observation of how a zero waste system can work, with full details of the main challenges and opportunities. The participants were very satisfied of this experience and look forward to further training programmes.